Below is the DRAFT Costume list needed for the Concert. This could change or be updated, so please check the blog regularly. Please remember that if you do not have something, make sure you tell someone on the Production Team asap so it can be sorted. Please do not buy anything until we have tried to find you an item. 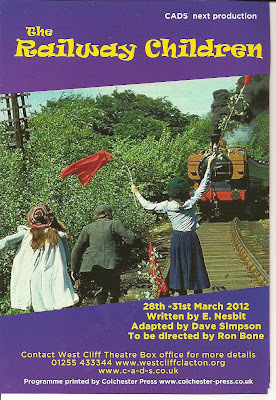 Costumes must be seen by Sam & Daniella by Tuesday 14th February at the latest. 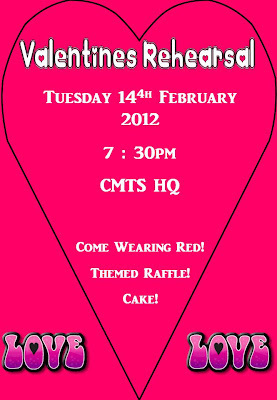 Dress Rehearsal will be on Thursday 23rd February. This is mainly to help you time your quick changes. OPENING – Sweet Dreams Full Company Party wear. Steve – Sparkly DJ Jacket - CMTS to supply. Gabrielle Tyler, India Frank & Kerry-Alice Hartnett plus Bill Davies, Terry Ratcliffe, Val Endean, Sharon Giles, Ashlea Moore & Leanne Symes. Black. Gabrielle, India & Kerry-Alice in White Dresses. Faith Lucy Mellow plus Dancers (Tesha Giles, Cherice Symes & Gabrielle Tyler) Lucy – Denim Jacket & Jeans, White T-Shirt.Dancers – White T-Shirt and Jeans. Total Eclipse Of The Heart Lucy Harris Red Top & Jeans. It Must Be Love Ashleigh Masters Red Top & Jeans. 99 Red Balloons Kids, Dancers plus India Frank, Ashleigh Masters, Kerry-Alice Hartnett & Leanne Symes. Red Tops & Jeans. Let’s Get Physical Men plus Harry McCarthy, Jack Flynn & Gabrielle Tyler Keep Fit clothing. It’s Raining Men Ladies Yellow Macs - any suitable casual clothes underneath mac. Every Breath You Take Steve Church - casual wear. Sweet Child O’ Mine India Frank Leather jacket, Jeans, White Top. Purple Rain Company. Soloists – Ray Sharp, Julia Clarke, India Frank, Kay Friedheim & Ashleigh Masters. Purple/Lilac/Burgundy Tops and Black Trousers or Skirts. OPENING – We Are The World Company Green & Blue Tops, Black Trousers. Africa Lucy Mellow & Lucy Harris Brown/Green or African Dresses. Minnie The Moocher Steve Church Black suit, White Shirt, Black Tie, Black Hat, Black Sunglasses. With Or Without You Dancers Blue/White Tops with leotards. Starlight Express Bill Davies Train Driver Outfit. Who Wants To Live Forever Gillian Flynn & Ashleigh Masters Black. Finale – Let’s Hear It For The Boys (Footloose), Time Of My Life (Dirty Dancing) & We Built This City (Rock Of Ages). Company. Soloists – Cherice Symes, Gabrielle Tyler & Kerry-Alice Hartnett (Footloose). Bill Davies & Julia Clarke (Dirty Dancing) 80s wear. Dancers in Keep Fit wear. 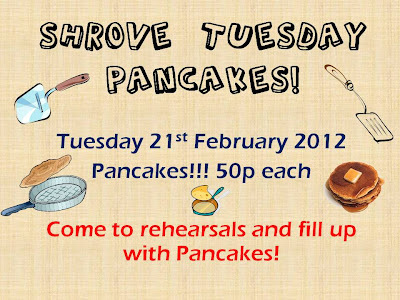 COME AND ENJOY A LOVELY REHEARSAL! Take a look at this promotional video created by Charlie Vaughan. 'Rewind To The 80s' Rehearsal Schedule Changes. The Concert Production Team had a meeting last night and have agreed that the following extra Soloist numbers are required; 1. 'Every Breath You Take' Steve Church. 2. 'Power Of Love' Lucy Mellow. 3. 'Sacrifice' Gillian Flynn. 4. 'Total Eclipse Of The Heart' Lucy Harris. 7.30 Revise all numbers set so far. 9.00 Soloists; 'Who Wants To Live Forever' - Gillian Flynn & Ashleigh Masters. 'You Must Love Me' - Kerry-Alice Hartnett. 'Someone Like You' - Gabrielle Tyler, India Frank & Kerry-Alice Hartnett. 'Africa' - Lucy Mellow & Lucy Harris. 'Take My Breath Away' - Kay Friedheim. 'Faith' - Lucy Mellow, Tesha Giles, Cherice Symes & Gabrielle Tyler. 8.00 Set 'Valerie'. All Kids required. 8.30 Set 'Beastie Boys'. Men required; Steve Church, Richard Taylor, Ray Sharp & Terry Ratcliffe. 'Happy Talk' - Julia Clarke, Harry McCarthy, Jack Flynn, Katie Finn & Hermione Wood. 9.00 'It's Raining Men'. All Ladies. 'Minnie The Moocher' - Steve Church. 'Starlight Express' Bill Davies. 9.15 Soloists; 'Walking On Sunshine' - Lucy Harris plus Harry McCarthy, Jack Flynn, Katie Finn, Hermione Wood, Julia Clarke, Wendy Orton, Bill Davies, Kerry-Alice Harnett, Orana O'Leary & Terry Ratcliffe. 'Every Breath You Take' - Steve Church. 'On My Own' - Gabrielle Tyler. 'Sweet Child O' Mine' - India Frank. 'You Must Love Me' - Kerry-Alice Hartnett. 'Wind Beneath My Wings' - Ray Sharp. 9.00 Revise all numbers set so far. 9.30 Soloists; 'Power Of Love' - Lucy Mellow. 'Sacrifice' - Gillian Flynn. 'Total Eclipse Of The Heart' - Lucy Harris. 'It Must Be Love' - Ashleigh Masters. 'Eternal Flame' - Cherice Symes, Lucy Harris & Ashleigh Masters. 7.30 Revise all Chorus numbers. 9.00 Revise all Soloists, Duets, etc. - And anyone else who would like to stay and discuss their number. 'Just a quick email to say congratulations to the society on a great show and to your son (Harry McCarthy) in particular who I thought was outstanding.' Darryl Crawley, Vice Chairman, Seaview Players. 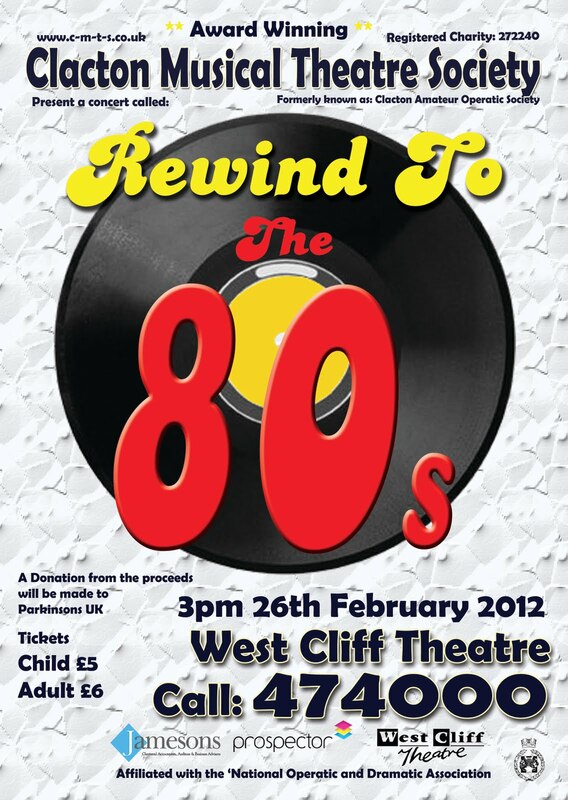 'We would like to thank you for a very enjoyable evening spent at the West Cliff Theatre. Your company's performance of Pinocchio was truly wonderful. Best wishes for your future productions.' Celia & Tony Merryweather. 1st Holland-on-Sea Scout Group. 'What an enjoyable time Theresa and myself had at last nights showing of Pinocchio. There was so much enthusiasm in the cast and all the support staff - they were a credit your group. Thank you for your invitation.' Terry Lilley - President of the Lions Club of Clacton-on-Sea. 'Thank you for inviting us to your panto, we had a very enjoyable time and everyone obviously worked very hard. You are fortunate in having some very talented people involved and a proper theatre to work in! The audience also enjoyed the evening and it was nice to see so many there, well done and please pass on my compliments to the crew and cast.' Ian Ruffle, The Bardfield Players. 'I just wanted to say thank you very much for the tickets to your production of Pinocchio. We absolutely, thoroughly enjoyed it. What a great cast.' Jan McGovern, Clacton Tourist Information Centre. 'Just a quick note to say how much Wilma and I enjoyed the panto last night. The costumes, the set, the lighting and the make-up all combined to make this a really good show. The cast were brilliant - such strength in their singing voices and good representation of their characters. To be honest, there was nothing I would want to criticise - it was just a real feel good evening and that was evident when hearing the comments of the audience when they left the theatre. Very well done to all involved - superb!' Eric Smart, NODA. 'We enjoyed the performance on Monday afternoon! It was wonderful and if you could pass on our appreciation to the group for such professional and first class entertainment I would be grateful.' Valerie Reiser, Alzheimer's Society. 'Congratulations on a great pantomime!! Thank you very much for the invitation.' Alex Berriman, Chairman of KYDS Youth Drama Society. 'Thank you for inviting me to review Pinnochio which we both enjoyed very much and felt you really did acheive a great standard with the production. It was good to meet the cast afterwards and be able to offer my congratulations.' Ann Platten, NODA. Thank you to those Members who have offered to help man our stall tomorrow at the West Cliff Theatre's Open Day. Please can you contact Sam McCarthy asap on 07585 440815 or 01255 427256 to sort out which time slots you will be required for. Thanks. 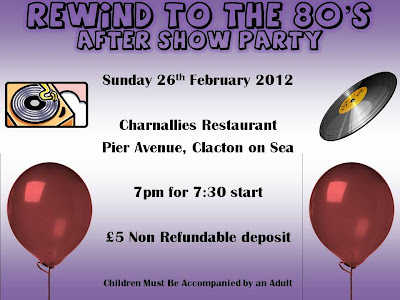 'Rewind To The 80s' Concert - Rehearsal Change. 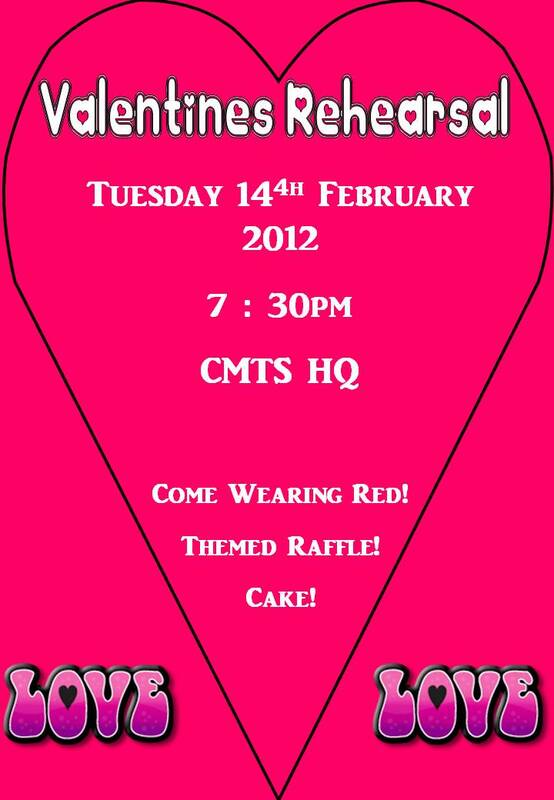 7.30 - Revise 'Sweet Dreams' - Company. 8.00 - Set '99 Red Balloons' - Children, Dancers plus named Chorus (India Frank, Kerry-Alice Hartnett, Leanne Symes & Michael Maclean). 8.30 - Set 'It's Raining Men' - Ladies Chorus. Please bring an umbrella to use! Soloists are aware that they need to rehearse in their own time. But there is the opportunity to have some time as the last half an hour of every Rehearsal is for Soloists to go through their number with support from the Production Team. This is for the initial discussion about your Solo; What you will be singing? How it will be staged? Costume ideas and anything else that the Soloist or Production Team want to discuss. The Concert Casting Committee would like know if there are any Members who did not audition but would like to come along on Tuesday's Rehearsal. This is due to a few Members who could not Audition on Sunday and to make it fair, we want to open it out to everyone. You need to come along to Tuesday's Rehearsal to learn the Chorus Singing and Movement Audition pieces, to then Audition on Thursday. This includes any Children. 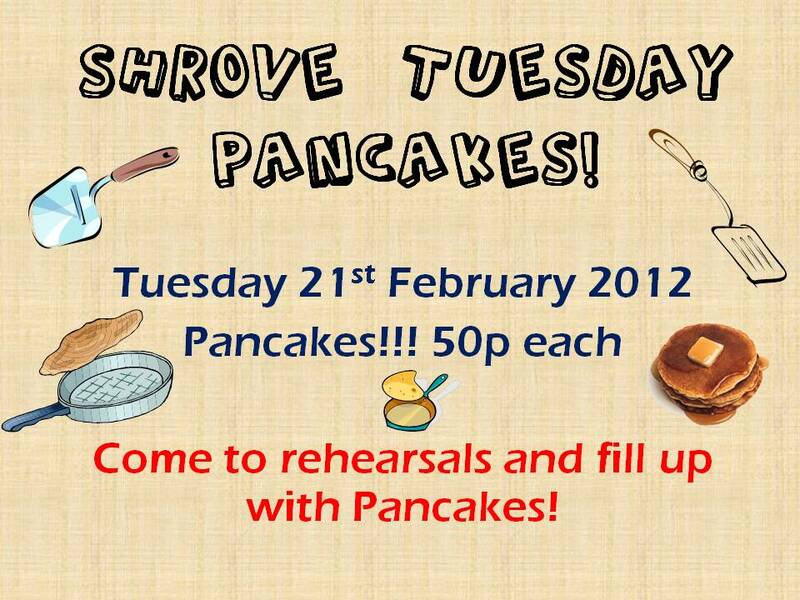 If you do not come along Tuesday to learn the Audition piece, then you will not be able to Audition on Thursday. Likewise, if you turn up Thursday without knowing the Audition piece, you will not be allowed to Audition. Gillian Flynn & Ashleigh Masters - 'Who Wants To Live Forever' We Will Rock You. The Concert Casting Committee would like to thank and congratulate all the Members that auditioned today. The Soloists, Duets, Trios and Groups information will follow. This coming Sunday, the 15th January, is the Audition Day for our upcoming Concert. The auditions will be held at our HQ, directions are on our website. 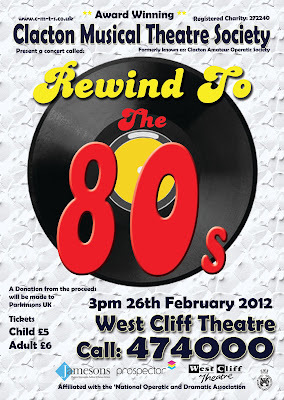 The Concert will be staged at the West Cliff Theatre on Sunday 26th February 2012. Soloists, Duets, Groups, etc, auditions will be starting at 11am and then the Chorus (Movers & Non Movers), Children (7-12 yrs old) and Dancers (Male & Female over 12 yrs old) will be at 2pm. You only need to audition one song even if you are wanting to do more than one solo in the Concert. This is mainly down to the time constraints of getting through everyone that wants to audition. Please put on your Audition Form all the Solos you wish to be considered for. Please also remember that everyone will be expected to be in all the Chorus numbers. Please be advised that to audition you must be a paid up Member. If you have any questions please do not hesitate to contact one of the Production Team.